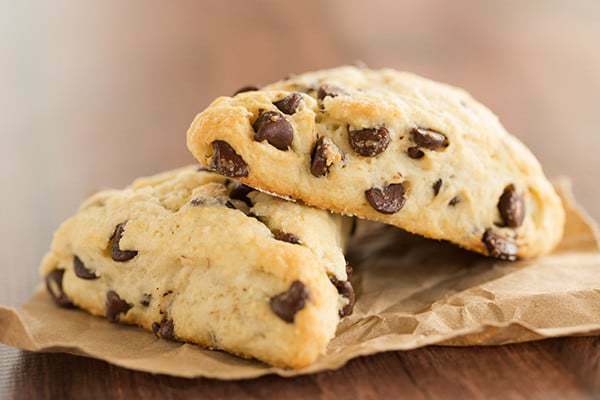 This chocolate chip scone recipe is wonderfully tender, lightly sweetened and perfect alongside a cup of coffee for breakfast or dessert. Yesterday, I shared with you the risotto that my mom requests for dinner each year for her birthday. For dessert, she turns down cake and asks that I make a batch of these chocolate chip scones instead. I believe this was the third baking recipe that I ever attempted on my own (behind peanut butter chocolate chip cookie bars and chocolate chip-pecan pie bars) and it quickly turned into one of my family’s favorite treats. 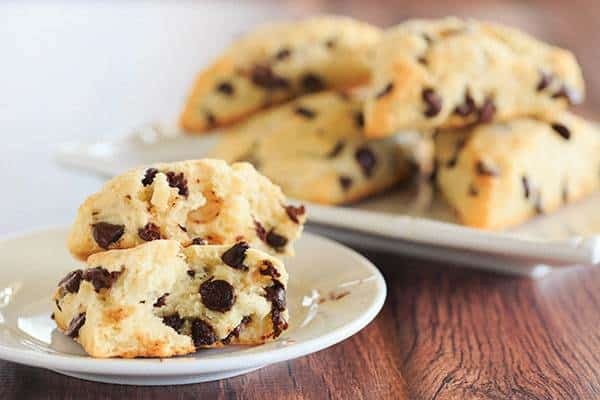 These chocolate chip scones are incredibly easy to make, plus I’m all-in on anything with chocolate chips that can be passed off as a breakfast food. The scones have a very tender texture – not quite flaky like a biscuit and not as cakey as a muffin, but a perfect combination of the two. They aren’t overly sweet, either, except for the chocolate chips, of course. If you keep your pantry stocked with bags of chocolate chips (who doesn’t?!) 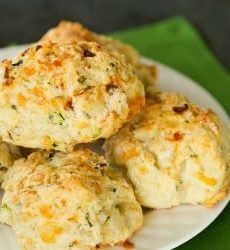 and heavy cream in your fridge, then you likely have everything you need to throw these scones together in no time at all. One bowl and only a handful of ingredients is all it takes! 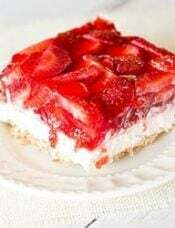 What’s your favorite sweet-for-breakfast recipe? 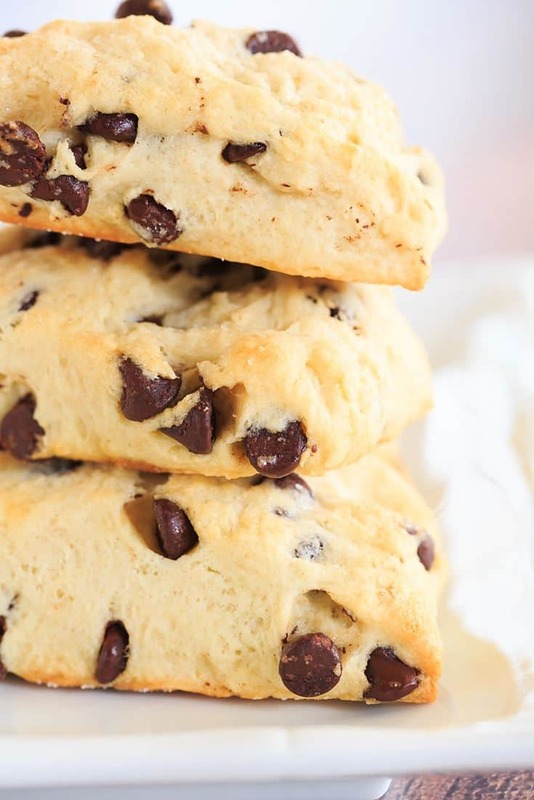 These chocolate chip scones are tender, lightly sweetened and perfect alongside a cup of coffee for breakfast or dessert! In a large bowl, whisk together the flour, sugar, baking powder and salt. Stir in the chocolate chips. Using a wooden spoon, stir the heavy cream into the flour mixture, stirring just until ingredients are moistened. Turn the mixture out onto a lightly floured surface. Knead gently until a soft dough forms (about 2 minutes). Divide the dough into two equal balls. Working with one at a time, pat each one into an 8-inch circle and cut into 8 triangles. Transfer the triangles to the prepared baking sheets, spacing them 2 inches apart. Brush with the melted butter and sprinkle with sugar. 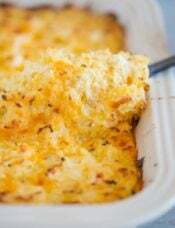 Bake for 20 to 25 minutes, or until lightly browned. Serve warm or at room temperature. These scones are best served the day that they are made, but can be kept in an airtight container at room temperature for up to 3 days. You can also wrap them individually in plastic wrap and place in a freezer bag to store in the freezer for up to 2 months. 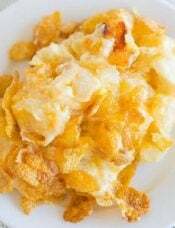 This recipe was originally published on May 13, 2007. 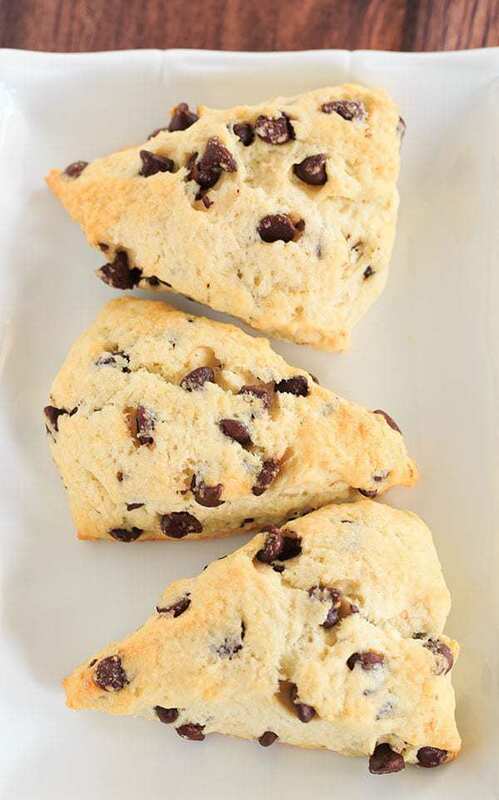 I love chocolate chip scones but have never tried to make scones. I made these today and have to say they came out absolutely perfect and were delicious. I followed the recipe EXACTLY as written. I didn’t find the dough overly sticky, but I did have to use my hands to finish mixing the cream & dry ingredients. It was just too difficult to mix it thoroughly with a wooden spoon. But once I got my hands into it, it was super easy. I had a light dusting of flour on my hands and a board ready with a light dusting of flour to plop the whole thing down on. After that it was super easy to shape, cut & bake. 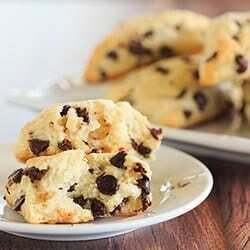 These rival the best of the best chocolate chip scones I have ever had. 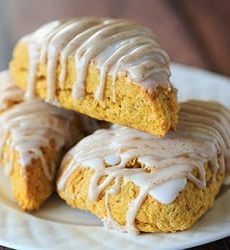 I love that they’re not overly sweet and the texture is just as a scone should be. Thank you for a great recipe! Amazing scones! Turned out perfectly! We made them for a Saturday morning breakfast for company and everyone raves. Will definitely make again! Hi! Thoughts on making the dough and either freezing or refrigerating to bake a different day? Hi Carolyn, Yes! I would recommend freezing and then adding a few minutes to the baking time. I would cut out the actual scones, then wrap in plastic wrap and place in a freezer ziploc bag. Enjoy! Best scones I’ve ever made. I’ve made them three weeks in a row and I swear they only get better. I made them plain, with chocolate chips, with cinnamon and pecans, and now have a blueberry batch going. 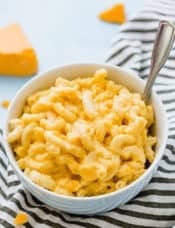 This recipe is so easy and can be changed to fit literally anybody. Thank you!!! I have never made scones before so I decided to try. These were so easy to make and came out soooooo good! Without question, absolutely the best most tender scones. Make them all the time and they disappear. 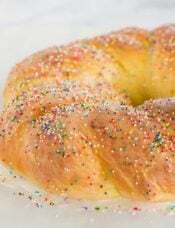 They get great compliments, but are sooooo easy to make. Sticky, but easy! Try them! Hi! Can I substitute blueberries for the chocolate chips? Also would using my kitchen aid to knead the dough be a bad thing, or do you suggest I just knead it myself? Blueberries would be okay, but they might bleed a bit. Definitely do not use your kitchen aid! You literally need just a handful of gentle kneads to pull the dough together, not like traditional kneading of bread dough. If you use your mixer it will be terribly overmixed. Enjoy the scones! Are the scones baked one at a time? Hi Lisa, No, they are baked on a baking sheet (see step #4). I don’t have it calculated, but you could use an online calculator like MyFitnessPal to calculate it. 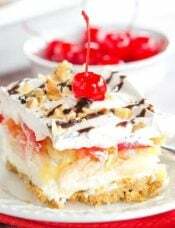 I am going to use vanilla extract when I make this. I was wondering, did this recipe come from Bon Appetite? I have from there that is excellent with the same ingredients. Just curious, Thanks..
Hi Kathy, No, it’s actually from Hershey’s, many moons ago! Do you have the weights for the ingredients in this recipe? There’s are hands down the easiest scones to make, and they are absolutely amazing. Best to be eaten the same day. I’ve received many compliments from family, friends and coworkers. Many have said these are the best scones they’ve ever had! Can regular milk or half and half be substituted for the heavy cream? Hi Kristin, The scones really rely on the fat from the heavy cream to keep them soft and tender; if you use something with less fat (like milk or half and half) then you’d run the risk of a drier scone. I just made these and they are delicious! Even my husband liked them. Since there are so many I was thinking of freezing them, as you suggested. Great idea, especially to take to work in the mornings. 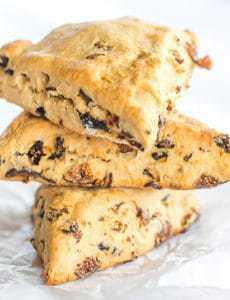 So good and the easiest scone recipe ever! No cutting in butter. It’s like having chocolate chip cookies for breakfast.